Successfully Added Portable 2.5 Inch IDE HDD Media Centre + DVR to your Shopping Cart. 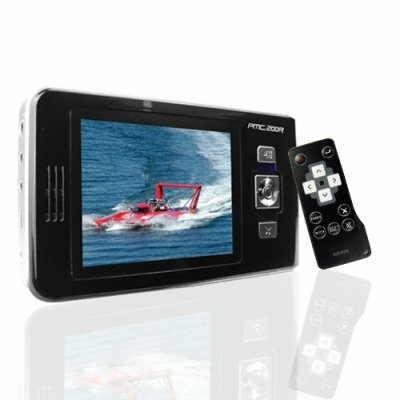 This outstanding 2.5 Inch HDD media centre with DVR is everything you've beeen looking for in a portable media device. Pop in a formatted 2.5 Inch IDE hard disk drive, plug in the USB cable, drag and drop all your media into your new gadget and your away. With the included DVR function you can record from any AV source in a range of quality settings to find the best solution from small file sizes to awesome high bitrate quality. Take your movies on the road- with the included battery you can do just that- and quickly and easily copy files from a USB source to the internal disk using the great OTG (on the go) feature. A great PMP that has everything going for it order now for your drop shipping shop or just get one for yourself, and order with the confidence of our great 12 month warranty.